Daily Driver, Weekend Warrior, Full Track Chassis? Please provide us information on your goals, and needs for your project. We also kindly request a list of all your major modifications to help us determine what setup will work best for you! Daily driver, or full race we’ve got you covered. 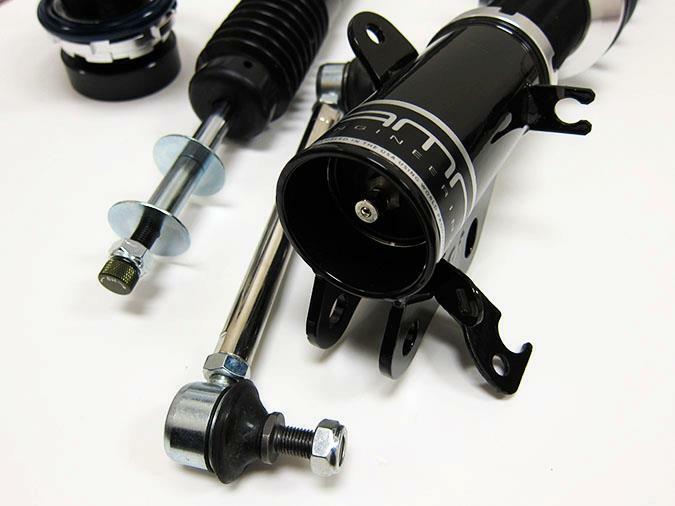 Assembled here in the USA, our custom coilover systems are designed to meet your needs. 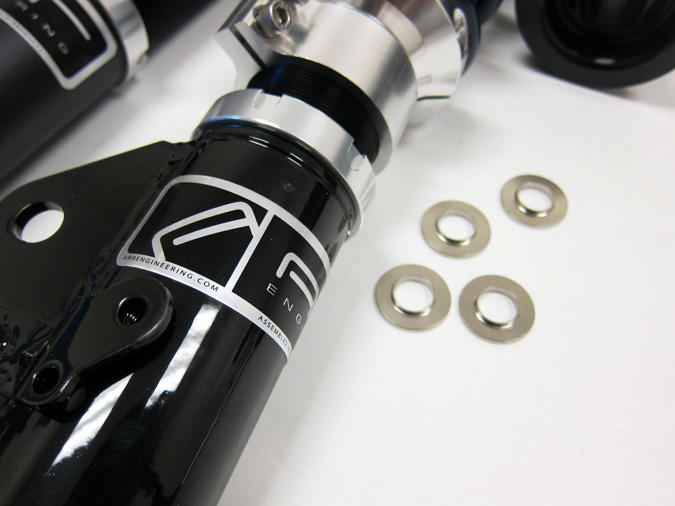 Our coilovers feature a mono-tube design, and machined using the latest tooling and equipment. These are assembled with Hyperco springs which also come with a lifetime warranty just like our dampers. Our machine work is simply outstanding, and we take great pride in the quality of our work. 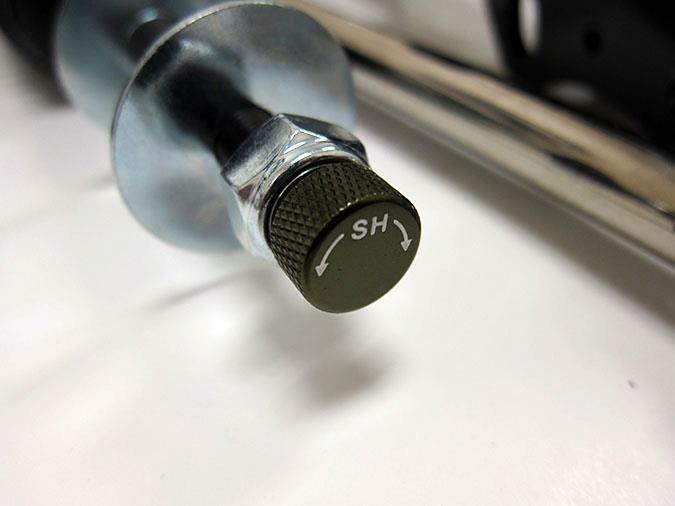 Our single adjustable dampers offer a distinct 8 click design. 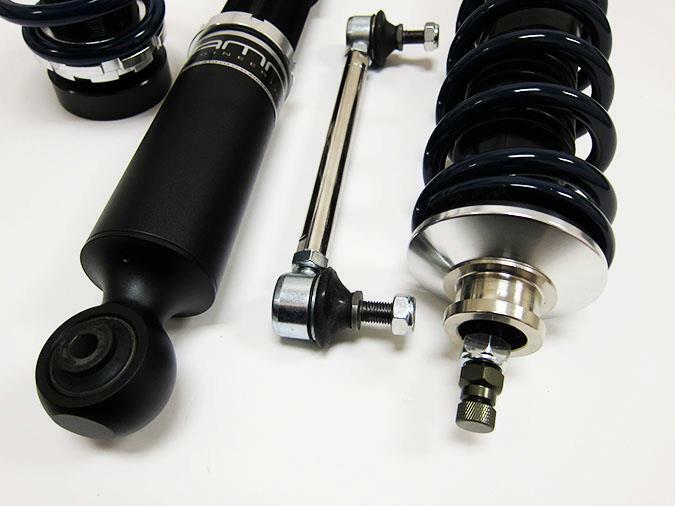 Our coilovers also allow you to adjust both preload and shock length. So adjusting both ride height and preload is fast, and simple. With the ability to adjust shock length you maintain your shock travel, and lower your car without sacrificing too much ride quality. 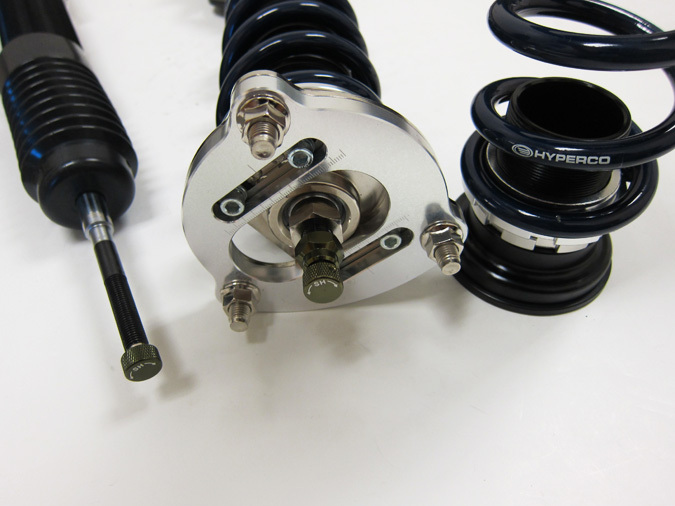 These are meant to be the last coilovers you will ever need for your vehicle and come with a lifetime warranty on both the shock and spring. Speak to us today about getting a set made specifically for you and your driving needs. No more guessing games, leave it to us, and we guarantee you will love the ride quality and performance of our product. 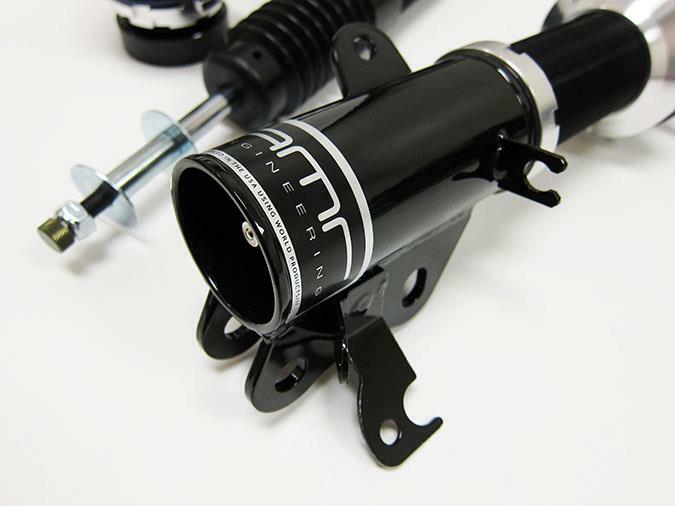 Check out the pictures of our coilovers, and note the attention to detail as well as machine quality of our product. Our tooling leaves a outstanding finish, and the product clearly shows that. We thank you for visiting our website, and everyone’s continued support! *Pictures may not be actual, just reference only. 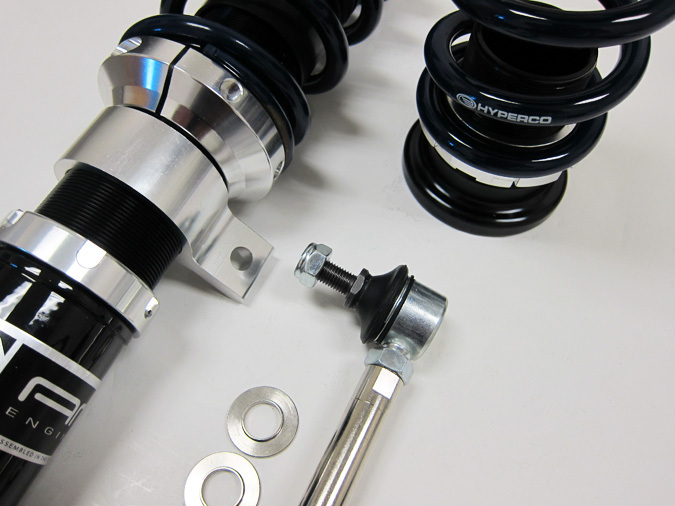 Our 2014 Honda Civic Si Coilovers are now available. The coilovers can be built with our OEM style top mounts or front camber plates. We've also included our adjustable swaybar endlinks with this package. Contact us today about getting a set build for your 2014 Honda Civic Si. 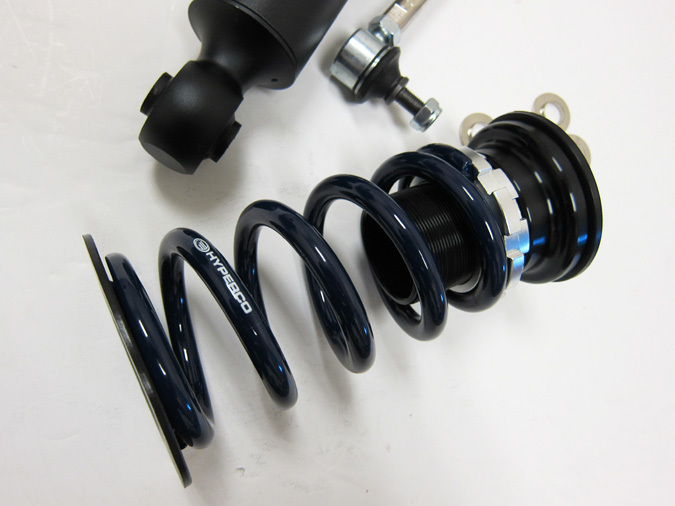 We've got a number of new chassis we've developed coilovers for which we will be releasing soon. Stay tuned! @Copyright 2016 - AMR Engineering All Rights Reserved.